Git Flow is a very popular workflow for working with git. I have the lucky to set up Git on a medium sized project, and the following article helped me a lot… I report you the schema too, because it was very useful in a presentation I attended. 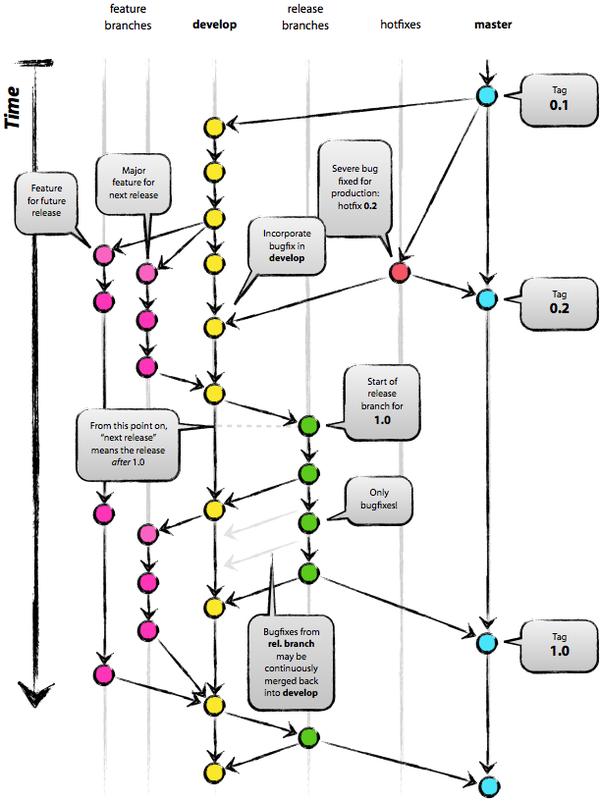 via A successful Git branching model » nvie.com.